My neighbor up the hill hosted the first annual island Lavender Festival yesterday, which turned out to be a great success. 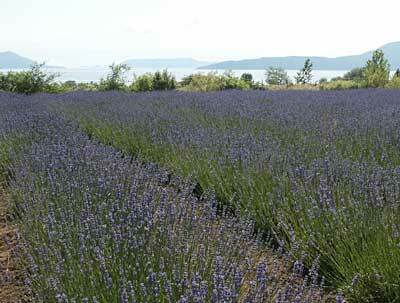 It seemed like the whole island showed up to celebrate the sunny day and the scent of lavender. We hosted many visitors from off-island who spent lots of money, to the vendors’ delight. It was especially fun to see all the folks (myself included) who wore clothing in shades of lilac, purple, magenta and lavender. Inhale deeply now. Ahhhh . . . Some people like to use lavender in love spells, but it has always seemed to me to be a blessing herb and a cleansing herb. It’s one of four herbs I’ll include in a sachet with each limited edition Gaian Tarot deck. Some of the lavender I’ll use will come from my own garden — and some will come from the field on the hill above my house, graced with the energy of a warm, festive summer day. Just Past the Peak of Summer . . .